Picture this, I was overseas in Hong Kong. It was late at night. I was browsing Instagram on the hotel wifi. I saw a sales post there. 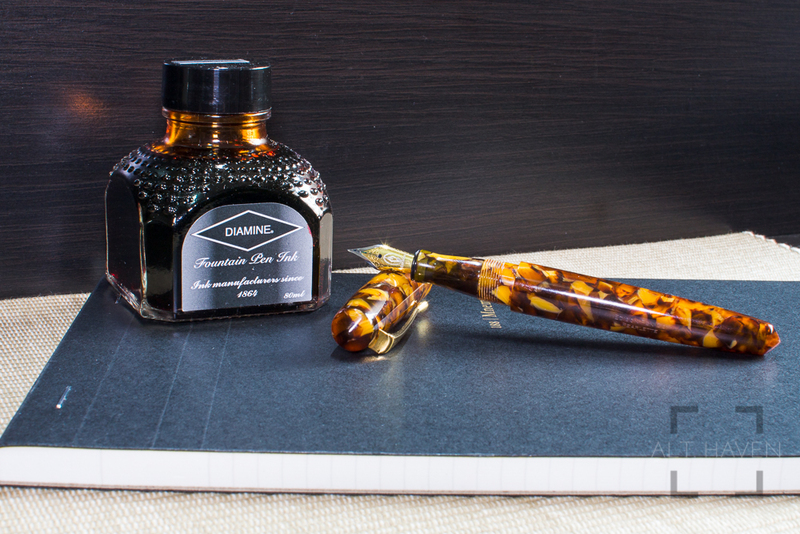 My eye was instantly drawn to the two Edison Pearlette fountain pens on sale. “No!” I told myself. 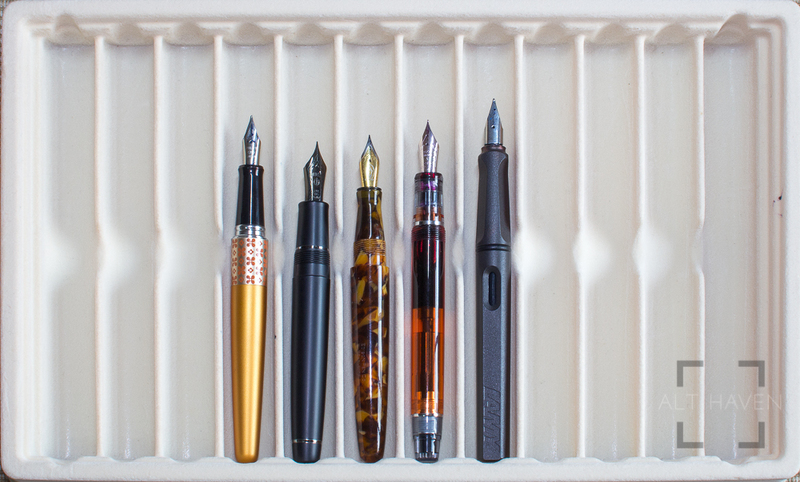 “No, impulse buying.” I slept on the decision and promptly emailed the seller for either of the two Edison Pearlette with a perference for the one with the F nib. Can you imagine trying to co-ordinate a purchase over email while travelling. Long story short, I wasn’t able to purchase the one with the F nib and picked up this particular Edison Pearlette instead. 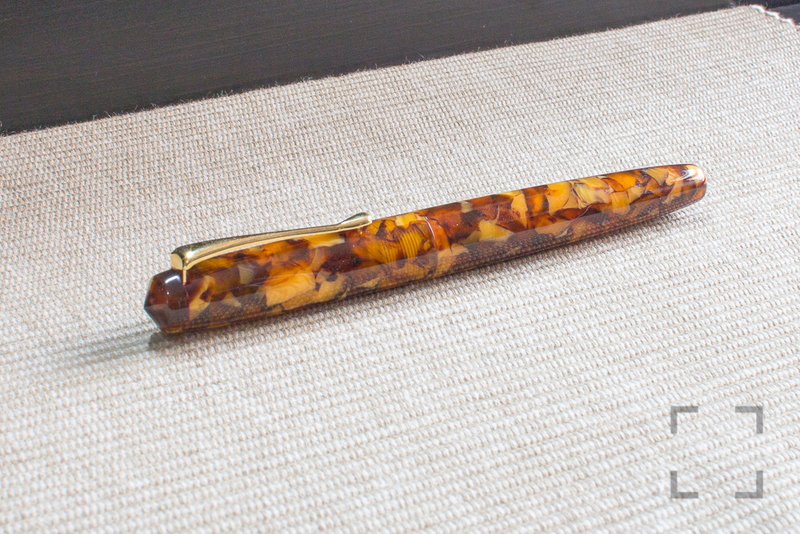 The Edison Pearlette is a custom acrylic fountain pen made by Edison Pen Company. 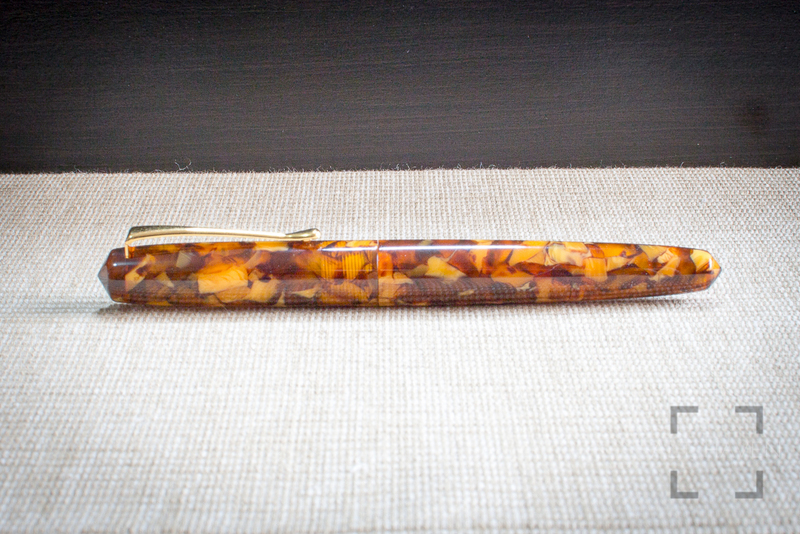 They are a custom pen company who also makes a line of production pen available at various retailers. 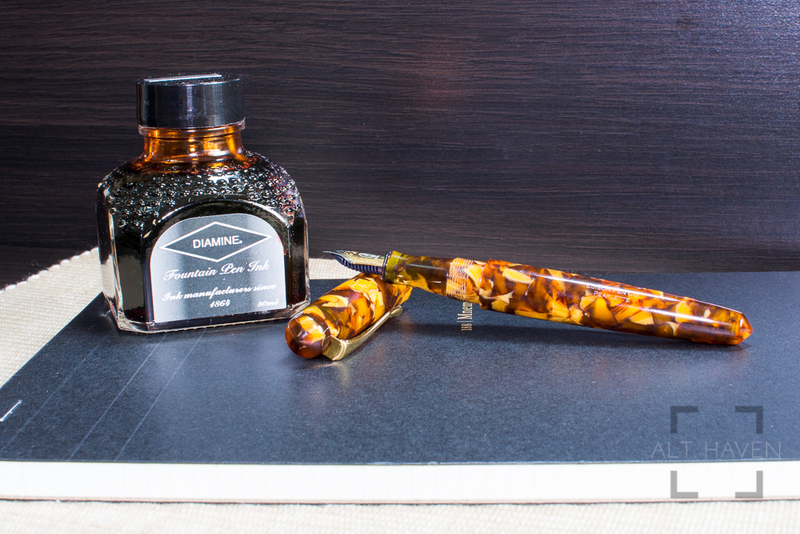 The Pearlette is one such signature line fountain pen. The gold clip is a simple tapered one that has a decent amount of flexibility to it. The cap comes about 1 and 3/4 revolutions. The turning is smooth and easy. The cap can be posted to extend the length of the Pearlette. 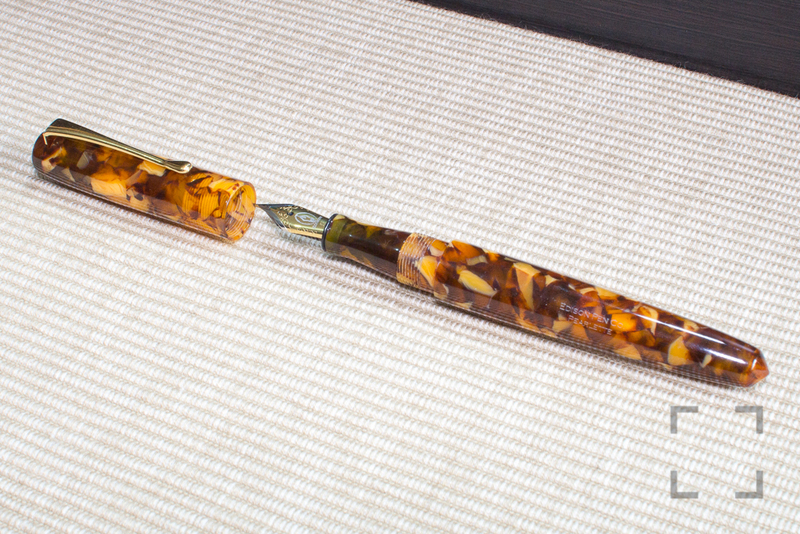 Now this is something I wouldn’t ever do on my Nakaya pens. Back to the Pearlette, the grip section is where I have the most problem with this pen. It is way too narrow even for me to hold it comfortably. I understand that this is meant to be a small fountain pen but the girth doesn’t have to be sacrificed right? Personally this is a deal breaker for me. I can’t write for long periods with the Pearlette without feeling uncomfortable. However, that’s just me so your mileage may vary. The Pearlette takes a standard international cartridge and converter plus it can be turned into an eyedropper pen, thanks to the acrylic body. If you turn it into an eyedropper pen, the ink capacity just went off the roof. Next comes my next problem with my particular Pearlette, it was sold with a #5 two-toned stainless steel EF nib by JoWo. 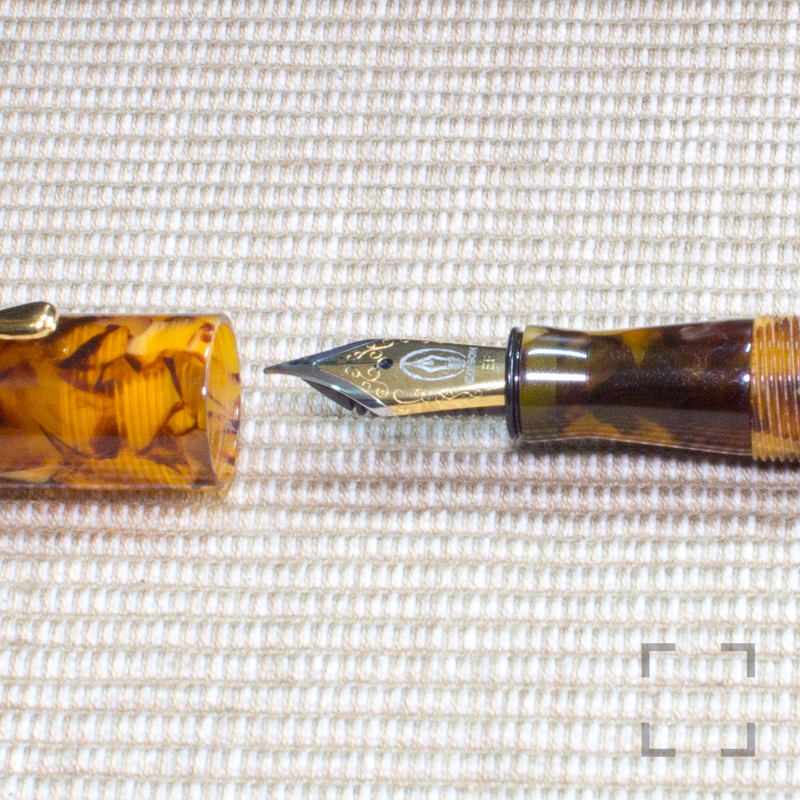 However I think the seller might have modded the nib previously. The nib wrote very very dry when it first arrived. I begged a local pen shop for help and they managed to straightened the nib. It improved the flow dramatically but not enough for my liking. I mean it is a simple fix of buying another nib for the pen. However with the grip being the way it is, I think it is rather pointless for me to keep the pen. 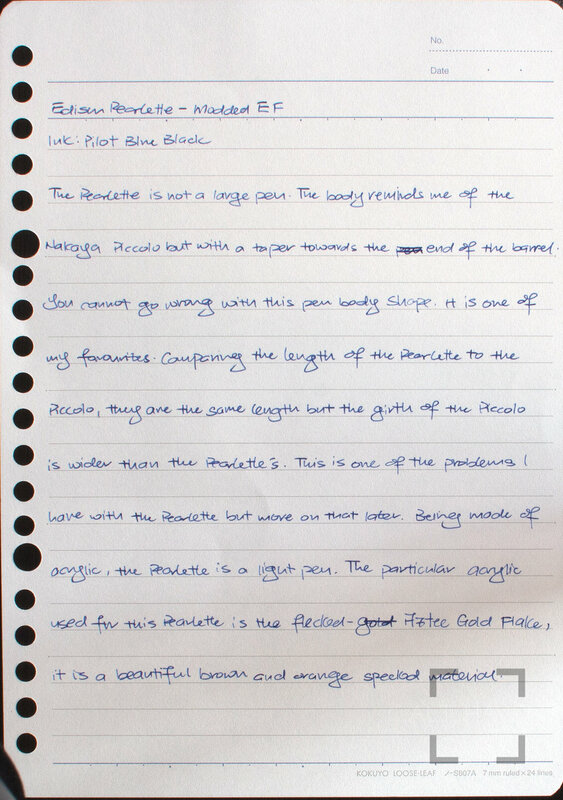 The way the pen wrote was no fault of the Pearlette’s design but I just wished the grip section is wider. If it was the same width as the Nakaya Piccolo’s, I think the Pearlette would have been a great alternative to the Piccolo. Of course, I don’t think Edison Pen Company would have to copy the Piccolo’s design without adding their signature touch to it. It is a conundrum but as the Pearlette is now I can say it is not a pen for me.